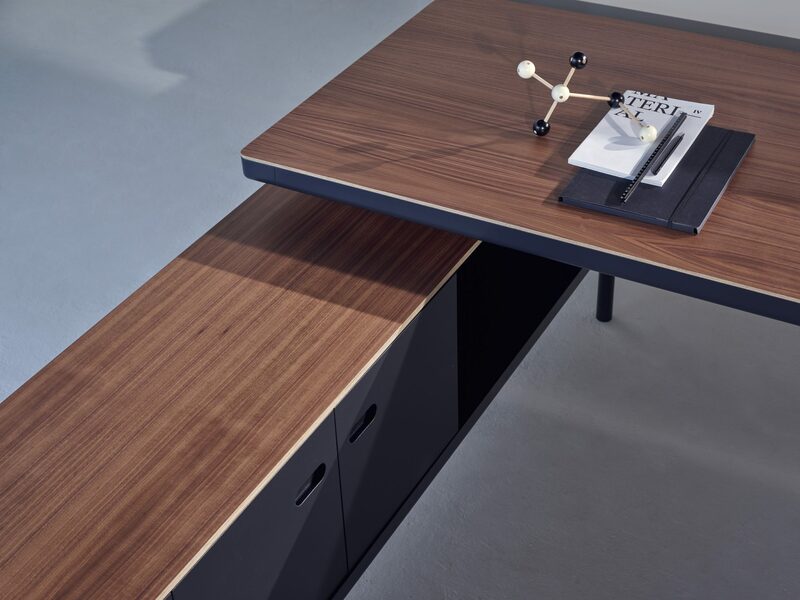 From intimate creative studios to large, open-plan spaces, the Edge desk has the flexibility to meet any workplace demand. 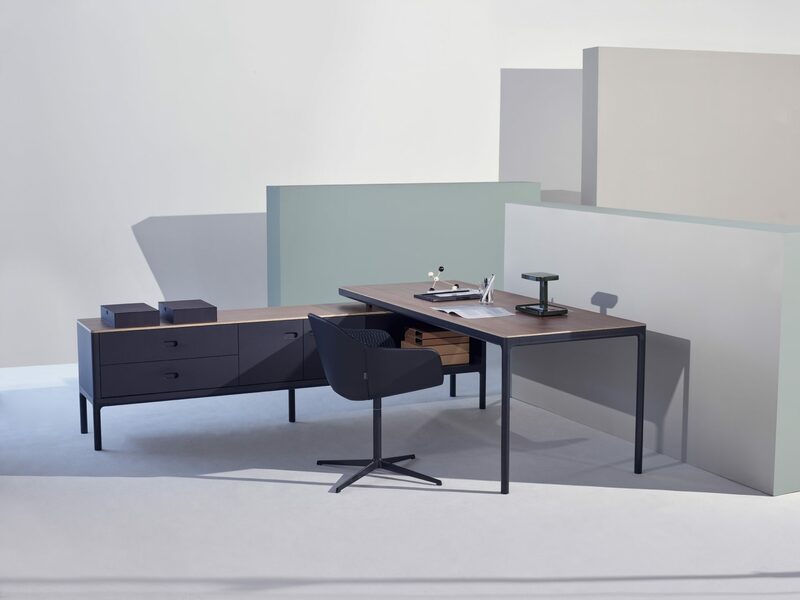 Foregoing the traditional, heavy and restrictive style of the desks of yesteryear, Edge has a refined domestic code and a beautifully light aesthetic. 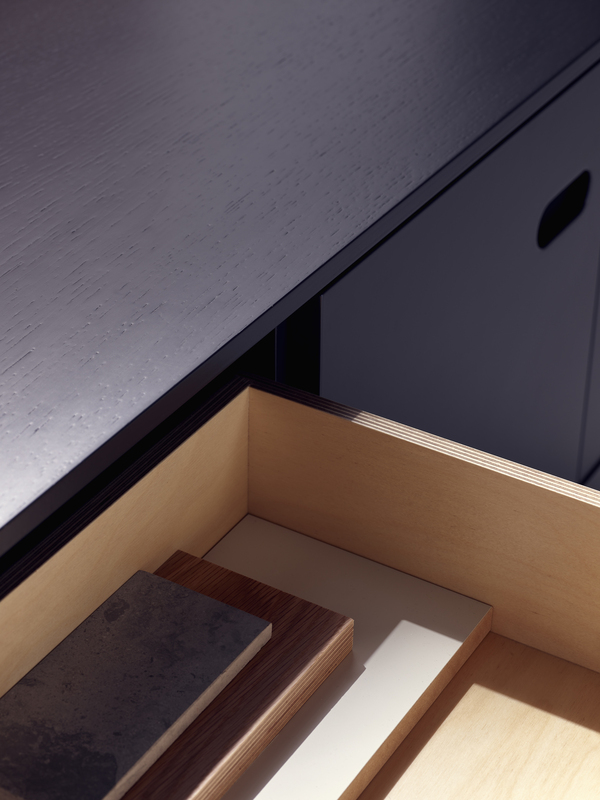 Customise your space with a range of beautifully engineered desk accessories. 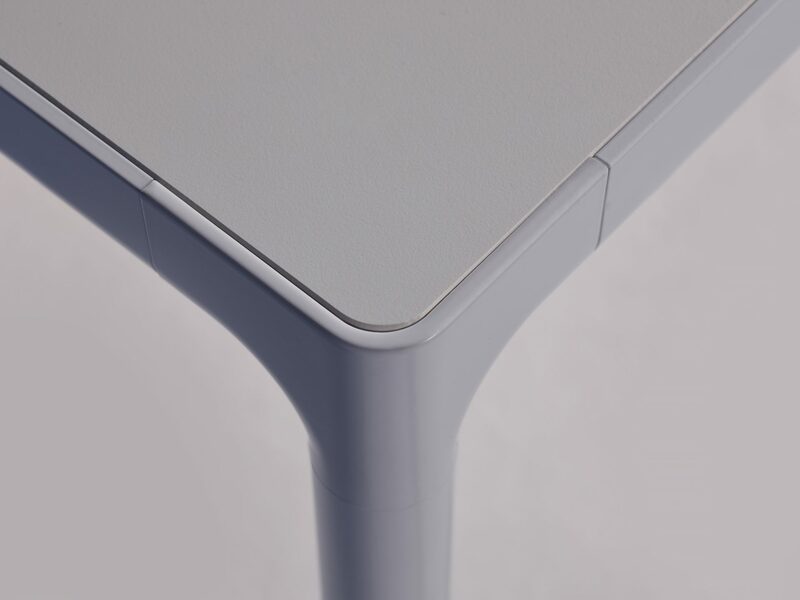 From bookshelves and paper trays to help keep everything tidy, to felt screens to absorb sound and create privacy, desk accessories can be either free-standing or clipped to a central rail. Edge is a completely flexible system that enables everyone to create their own tailor-made composition.